Hello everyone! Welcome to Lilac Talks Dubs where each episode I talk about a dub announcement or review a recent dub! 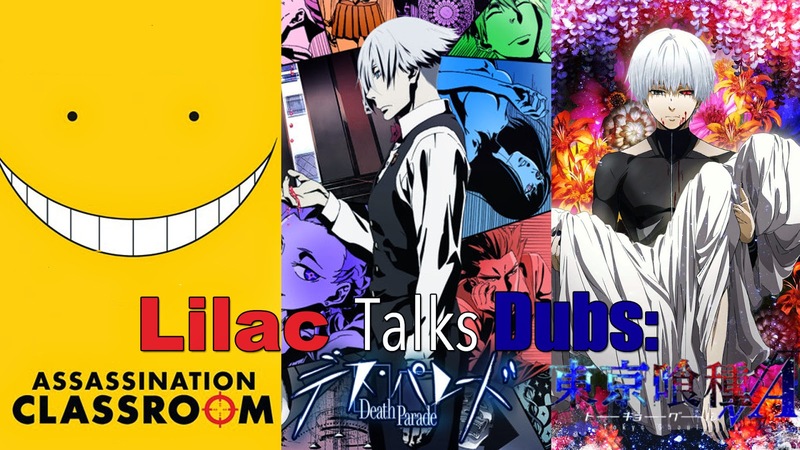 Today is a big one as I take on three out of ten of FUNimation's new Broadcast Dubs of the season: Assassination Classroom, Death Parade, and Tokyo Ghoul Root A! But I'm not doing it alone, as I have my good friends Hardy and Megan joining in on the party! Also, we kinda talked for two hours, so I took the liberty of splitting today's episode into two parts! Enjoy!